I read the first book several years ago, and so didn't remember too many details going in to the second. Fortunately the author did a nice job catching me up, though, and I quickly remembered why Flora was one of my few 5-star's over on Goodreads back in the day. 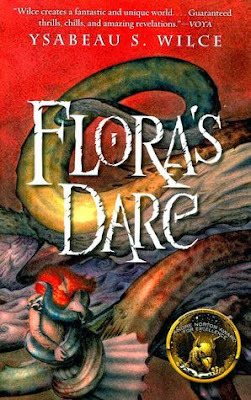 The setting of Flora is a fantastical alternate world inhabited by some of the most colorful characters you're ever likely to meet - in every sense of the world. Men and women alike wear kilts and bright makeup, dye their hair crazy colors, and go to punk concerts where the speaker system is a captured amplification demon. If that sounds futuristic or cyberpunk, it's not. If anything, there's an old world sensibility here, where automobiles and indoor plumbing are still novelties, women wear stays (corsets), and magic and monsters are a routine part of life. Flora lives in Califa - an alternate California - which has been conquered by "the Birdies," an Aztec-inspired culture peopled with terrifying flayed priests and animal-human hybrids. I found the politics a little confusing in the first book, since you're thrown into the story with little-to-no background, but it's gradually explained in bits as you carry on into Flora's Dare. 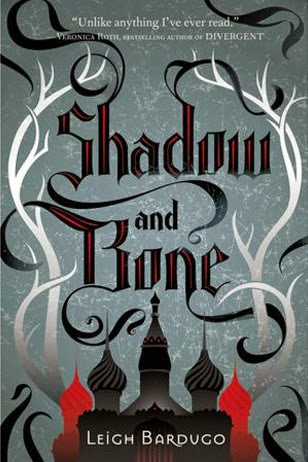 Next up is one a few of you have recommended: Shadow and Bone. I just finished this the other night, since, like all good books, it refused to let me put it down. Shadow has the familiar fantasy setup of an ordinary-girl-discovering-her-extraordinary-power, along with a surprisingly effective love triangle, but what really gives it flair is the Russian influence on everything from the characters (there's a sinister Rasputin-type priest) to the language and dress. Like Flora, many of the words you'll have to pick up through context, but here the geographical influence is a bit subtler. In essence you get a great fantasy story spiced up with a bit of Kvas - great for flavor, but not quite so integral to the story. As you might expect, Shadow is part of a trilogy. Siege and Storm is next, but just came out a few months ago, so I'm not sure when we can expect the third title. Whatever you call it, though, you should definitely read these books. There are three total: Foundling /Monster Blood Tattoo, Lamplighter , and Factotum . They follow a young orphan (or "foundling") named Rossamünd as he sets out in the terrifying world of the Half Continent. Here there be monsters - literally - and all of civilization is based around waging war against them. Monster hunters are celebrated heroes, branding themselves with tattoos of their conquests' blood and undergoing bizarre surgeries that give them supernatural powers. Foundling is dark and action packed, but it also wrestles with a morality that forces Rossamünd to question who his enemies really are. It's fascinating, compelling, and like nothing I've ever read. And if that's not high enough praise for you: I also just ordered the hardcovers online, since I like to surround myself with only my favorite books. So, yeah, give it a try! Also, I really want to recommend that you (and pretty much everyone) read The Night Circus by Erin Morgenstern. It's an absolutely beautiful story, with an ending so powerful that I pretty much cried the last quarter of the book or so. To me that's a pretty good gauge of how good it really is. Thanks for the reviews, looks like I have more books for my to-read list! I'm going to agree with Sjöfn Snorradóttir above, I've been recommending The Night Circus by Erin Morgenstern to absolutely everyone. There is magic, a historic setting (mostly what I know as Victorian/Edwardian ish), gorgeous descriptions of the sort that demand fanworks, interesting and faceted characters, and plenty of threads of story that you don't think are going to actually fit together until they do! The descriptions are my favourite thing though, they give you enough to allow you to imagine everything without giving so much detail that you have no room for personal interpretation. Finally grabbed it for my Kindle this afternoon, so Night Circus is next! As often as I've had it recommended, I'm really looking forward to it! Great reviews, my Kindle thanks you! Personally, I'm in love with anything and everything written by Guy Gavriel Kay. They are perhaps more on the fantasy spectrum of alt-history, but are just so beautifully written. Hard to choose favourites, but I'd have to go with 'The Lions of Al-Rassan', which is set in an alternate medieval Spain. I would also recommend 'The Glass Books of the Dream Eaters' by G.W. Dahlquist, set in Victorian England. But be warned, it s a very very weird book! Love the glass books series - it is wonky and wonderful, and supposed to be in the works to become a movie (though imdb keeps pushing the dates back). I have just finished the first two books in a trilogy by Lisa McMann. She wrote book three in the Infinity Ring series, and she does not disappoint here. The series is called The Unwanteds, and is described as "The Hunger Games meets Harry Potter." Every year in Quill, thirteen-year olds are sorted into categories: the strong, intelligent Wanteds go to university, and the artistic Unwanteds are sent to their graves. On the day of the Purge, identical twins Alex and Aaron Stowe await their fate. While Aaron is hopeful of becoming a Wanted, Alex knows his chances are slim. He's been caught drawing with a stick in the dirt-and in the stark gray land of Quill, being creative is a death sentence. But when Alex and the other Unwanteds face the Eliminators, they discover an eccentric magician named Mr. Today and his hidden world that exists to save the condemned children. Artime' is a colorful place of talking statues, uncommon creatures, and artistic magic, where creativity is considered a gift...and a weapon. Very descriptive, mysterious, and just downright fun to read. Our tween Pizza and Pages book group just picked this book for next month's read. It's been bumped up to the top of my must-read list. I might have recommended this before, but I'll say it again: The Immortal Guardians series by Dianne Duvall. They're classified as paranormal romance, but the non-romantic plots are full of action and intrigue, so there's enough to keep non-romance fans interested. The characters are well-rounded and (another rarity in the romance genre) the heroines are definitely not damsels in distress. Buffy fans should definitely check it out. Fourth book (Darkness Rises) comes out on Tuesday! Oh, and I just finished the novelization of "Shada." It started out as an episode of Doctor Who during Tom Baker's era, written by Douglas Adams. It ended up unfilmed due to a strike at the BBC. Gareth Roberts took the original script and turned it into a novel. I loved it! I know I've mentioned this before (I think) but R.T. Kaelin's self-published "Progeny" and "Prophecy" books are AMAZING! They are like Wheel of Time (also amazing!) for young adults. He even has back stories of all his background characters called the Terrene Chronicles he published as little novellas. I absolutely adore these books and he's working on the third. I keep getting updates on Twitter and he's even offered to have a Twitter chat with my class on writing. Seriously awesome. My friend recently wrote a book and it was amazing! The main character is a recently transformed werewolf teen, the setting is supposed to Oklahoma-ish near Indian reservations, but the author (who lives "over the pond") gets caught up on a couple of details we don;t have here. I still found it a delightful read that I couldnt put down and she has made it available for downloading on the kindle or your computer. I don't know if it's been mentioned yet, but check out "The Rithmatist" by Brandon Sanderson. It's the first of a series, if I am not mistaken. This book is also set in an alt-history world... Good read with a little steampunk thrown in! PS sorry, the story line does not take place in the future! Malinda Lo is an amazing storyteller. "Adaptation" is brilliant, and I can't wait to read "Inheritance." But you should also check out her first two books: "Ash" (a retelling of the Cinderella tale that is a beautiful exploration of grief and love), and "Huntress," which is by far my favorite. It is a distant prequel to "Ash" that has many Chinese influences but also feels a bit Celtic with its mythology and descriptions. Both books have very strong teenage, female characters and gorgeously described worlds. Plus, fairies and magic and saving the kingdom, oh my. The "Tamir Trilogy" by Lynn Flewelling is fantastic. It starts with "The Bone Doll's Twin" and moves forward from there. A little magic, a little deception, and lots of heart. So glad to see some respect for Monster Blood Tattoo on here! It's one of my absolute favourite series. I'm finding it hard to convince my family and friends to read it, I think mostly because the name is a bit silly (which is actually why I picked it up in the first place, haha). It's absolutely worth a read, though. I've wondered if that's why they changed the title, tbh. 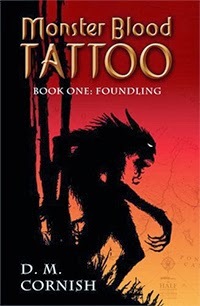 "Founding" sounds so much more respectable than "Monster Blood Tattoo". Ha! This is the first time I've posted since you came back, so first let me say, I'm so glad you're back - I missed you terribly during your sabbatical. 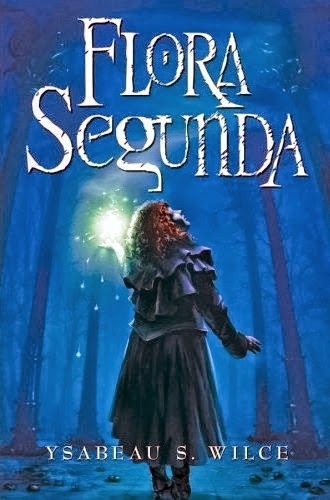 I've only seen one other recommendation here for Mercedes Lackey's Heralds of Valdemar series but it's incredibly well thought out and well written and there are LOTS of books to get lost in - at least 36 at last count, if I recall correctly. The first trilogy published, the Arrows books, actually fall into the middle of the timeline. In order to really understand what comes later, it's best to start with the Mage Wars / Gryphon trilogy and then follow the books as they're listed in the timeline at the beginning of the books. I started reading the series almost 20 years ago, but I go back to them again and again when I want to get away from the real world for a little while. I do hope you'll try them and let us know what you think. The other recommendation I have is for her Dragon Jousters series; Joust, Alta, Sanctuary and Aerie. The first book in the series introduces "a young slave who dreams of becoming a Jouster-one of the few warriors who can actually ride a flying dragon. And so, in secret, he begins to raise his own dragon". In fact, I'm off to re-read them right now. Who needs reality anyway? Welcome back, Jen! Gail Carriger's Parasol Protectorate Series is wonderful! Steampunk, romance, comedy, mystery - they have it all. Her (Gail Carriger that is) newest series starts with Etiquette and Espionage and is absolutely delightful. It is YA set in the same world as the Parasol Protectorate. Yes! I second the Heir Chronicles, but I would recommend the other series by the same author, Cinda Williams Chima, the Seven Realms books, starting with The Demon King. Those books are AMAZING. They are very well-written, the characters are likable, and there is enough intrigue and mystery and magic, and a strong independent heroine. Ugh, they are just sooo good. I would also recommend Gunnerkrigg Court, by Tom Siddell- the art is amazing, and the world that Antimony Carver and her friends live in is so rich. This isn't a YA book, but I recommend Patrick Rothfuss' Kingkiller Chronicle. It is a trilogy (the last book is supposed to come out soon) and has an interesting story line since it takes place in the present, but most of the books cover the "chronicle" of the main character as he narrates to a scribe. The main character has his flaws, but is very clever and resourceful. There is magic and action. It is very well written, in my opinion, since this is his first series. I'm a lifelong fantasy and sci-fi fan, and absolutely love this series so far (I wish the next one was coming out sooner!). My friend who loaned me the first two described it as "Harry Potter for adults" but I'm not sold on that comparison (I do love Harry Potter, too). There is a university where you can learn "sympathy" or what we'd call magic, but I don't feel that there is anything else really similar between the series, other than being very well written. It is definitely worth a read! Squee! For once a recs post where I have read ALL the books on the list, and heartily agree with your comments about all of them! I keep pushing D.M. Cornish's books on people myself. To my mind, he does the best worldbuilding since Tolkien -- and all the more so because he isn't anything like Tolkien, he just has the same passion for language and history and the world he's created. As a professional illustrator, I believe he filled something like 24 notebooks with sketches of the Half-Continent and its characters before an editor ever convinced him to turn it into a novel...! Hear! Hear! I love those books so much! And since Ms Anderson is too modest to reccy her own books I'll do so here: Ultraviolet and Quicksilver are two wonderful reads. I'm writing up Ultraviolet for next month's KCLS book talk: I'll have to cross post here. Jen, you have the most excelent timing! I just finished a book series and was floundering around for some new reading. Thanks for the great suggestions! Etiquette & Espionage by Gail Carriger! It's her YA series. The first book came out this past February, and the next one (Curtsies & Conspiracies) comes out November 5th. It's a prequel series to the Parasol Protectorate. It's called The Finishing School series, btw. If you enjoy alt-history books, I HIGHLY recommend The Years of Rice and Salt by Kim Stanley Robinson. It's based on a world where the black plague wiped out 99% of Europe's population and the various societies of Asia, the Middle East, Africa, and the Americas take over not just the world but also many of the achievements/advancements associated with Europe, such as colonization and the Enlightenment. It's told in a series of vignettes across time and the planet. I just love it, it's fascinating to watch how events unfold and how some things are wildly different while others are eerily similar. And if you like long reads that's great, cause it clocks in at over 700 pages. 700 pages of AWESOME. Also I second (third? eighteenth?) recommendations for any and all books written by Guy Gavriel Kay, who is just a master of beautifully-written alt-history books. Two recommendations for you. Robert Jordan's Wheel of Time. And pretty much anything by Brandon Sanderson. WoT is 14 books long but probably the best one is the first one, The Eye of the World. I know you are getting a lot of ideas but I had to throw mine in. Possibly my all-time favorite alternate history fantasy books are the Bartimaeus trilogy by Jonathan Stroud. They're set in Victorian England, where magicians summon demons to do magic, and scheme and bicker and play politics. The story follows a boy/young man and the demon, Bartimaeus, that he summons. They're very fun. Most of the characters aren't totally likeable, but in interesting ways, and they do develop throughout the series. And Bartimaeus, who narrates some of it, is amazingly snarky and sarcastic. I'd highly recommend them. The Last of the Really Great Whangdoodles by Julie Andrews Edwards, aka Mary Poppins is one of my all time favorites. And another one of those books that needs to be made into a movie. Whangdoodle Land & its creatures are so descriptive I would love to see them brought to life in a movie. My 4th grade teacher read it to us and I begged my parents to buy me a copy. I am now 43 and still have the book. I revisit it every once in a while and it is still as good as the first time I read it. Just finishing up Robin McKinley's latest "Shadows". Stellar as always by Ms. McKinley with a strong heroine facing challenges over a very interesting 'near earth', 'near present day' landscape. I'll have to put the first two on my list. 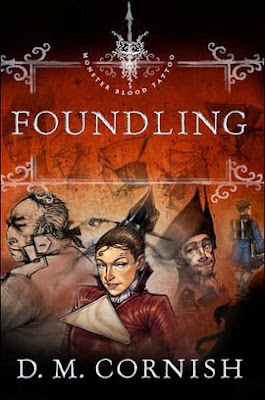 I listened to Foundling, and while I liked the story, it was annoying to listen to. I don't know if it was the narrator or something else. 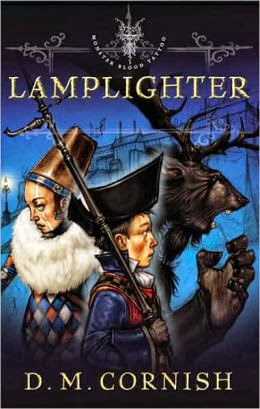 I hope you enjoy Night Circus, it is one of my all time favorite books and I have already read and listened to it several times even though it hasn't been out for that long. I've been eyeing Flora Segunda forever. This is the push to get it onto my TBR. Shadow and Bone is already on my shelf, and oh - OH, how I loved the D.M. Cornish series! I wish more people knew about it. Hands down, my 'everyone must read this!' recommendation is the most excellent Queen's Thief series by Megan Whalen Turner. Start with The Thief, then move on to The Queen of Attolia, The King of Attolia (one of my favorite books ever), and A Conspiracy of Kings. It's the story of Gen, a brash young thief who claims he can steal from anyone - even the Gods. There's richness of character, political intrigue, layers of storytelling, and an unreliable narrator who is just... *guh. * Oh, Gen - love you so. Do try not to get spoiled for each successive book! If you want another series and maybe something a bit lighter and more fun, I'd highly highly recommend starting Enchanted Inc by Shanna Swendson. It's not alt-history, but rather alt-now with magic being an underlying but hidden part of our current society. ;-) It's an incredibly pleasant read, and yet another series that would be great fun as a movie.